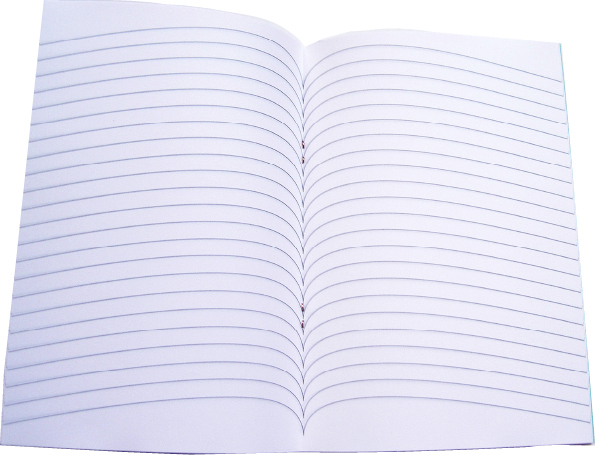 ‘Exercise Book’, a self-initiated publication, is a notebook with lines curved to belie its thickness. It comes in five different colour covers: brown, green, red, yellow, green. An initial run of 50 copies – presented at the Werkplaats Typografie graduation show in 2006 – was laserprinted and stapled with assistance from printshop robstolk in Amsterdam. A second edition of 500 copies was offset printed and stapled by printshop Teunissen in Amsterdam in 2009. Please visit www.exercisebooks.nl (http://www NULL.exercisebooks NULL.nl) for more information. 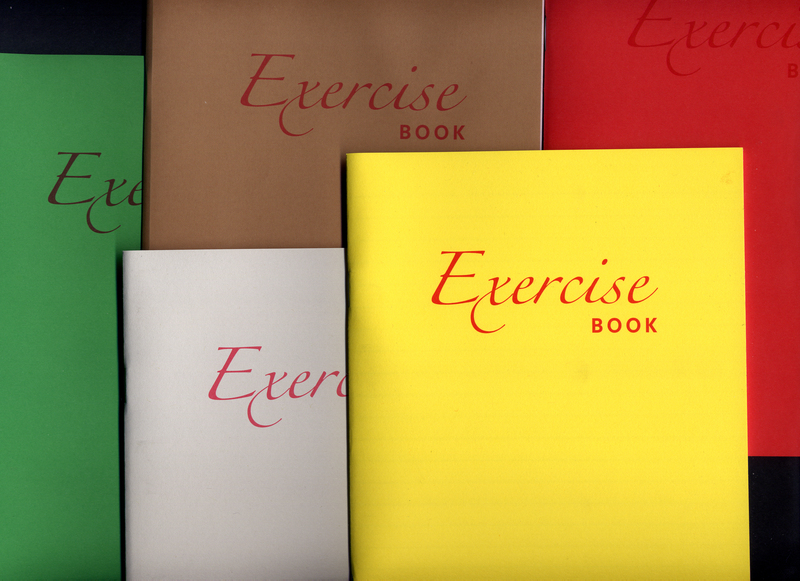 Please email me (kw null@null karenwilley NULL.nl) if you’d like to buy some Exercise Books. They are also available in Amsterdam via the shops Boekie Woekie (http://boewoe NULL.home NULL.xs4all NULL.nl/)and San Serriffe (http://www NULL.san-serriffe NULL.com/).